The latest information on the production, cultivation, and landscape use of native plants in Texas. Since its first publication in 1986, How to Grow Native Plants of Texas and the Southwest has set the standard for both home and professional gardeners. Written when the native plant movement was just getting started, it helped convert a generation of gardeners to the practical and aesthetic values of using drought-tolerant plants in southwestern landscapes. In this new edition, Jill Nokes has extensively rewritten every section to include the latest information on the production, cultivation, and landscape use of native plants. She has added over 75 new species and updated the propagation and care information for the original 350 species of trees, shrubs, and woody vines. 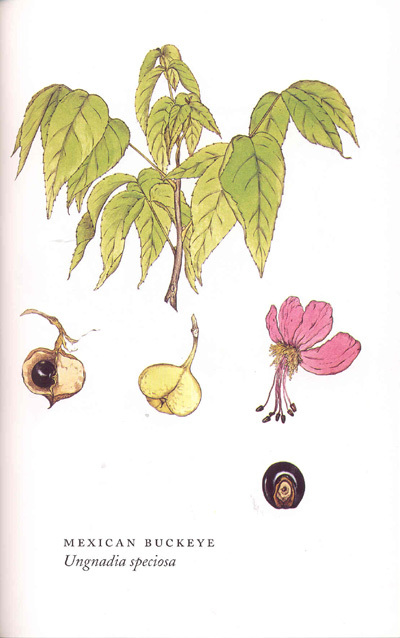 In addition to the individual plant descriptions, she also devotes whole chapters to gathering and storing seeds, seed germination, planting, vegetative propagation, and transplanting. 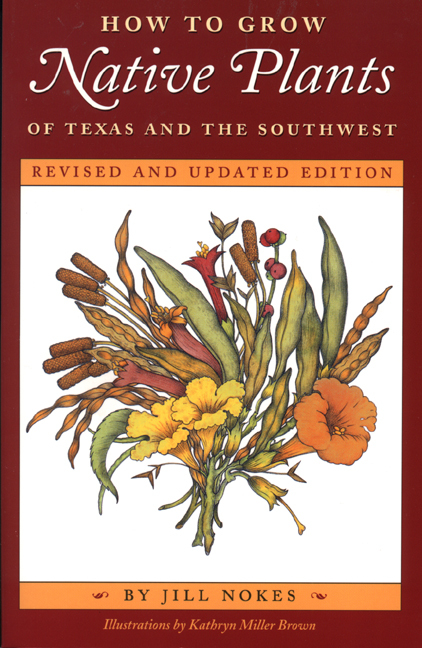 With this wealth of clearly presented, easy-to-reference information, How to Grow Native Plants of Texas and the Southwest will remain the last word on this subject. Plants listed alphabetically according to botanical name. 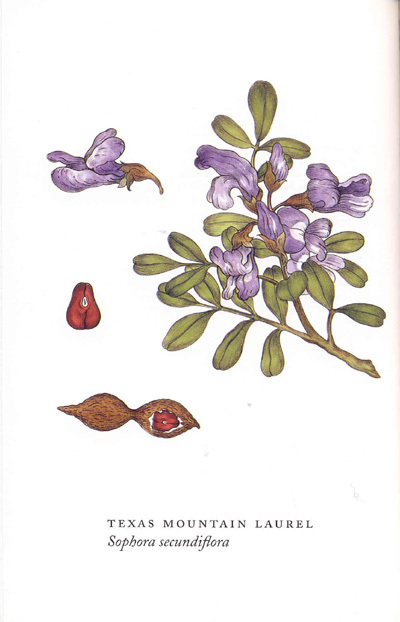 Consult List of Genera and Species for page numbers of individual species. Jill Nokes has a landscape design and consulting practice in Austin, Texas, where she and her associates work with architects, builders, homeowners, new landowners, and schools to create landscape designs that reflect the local region and thrive with a minimum of resources, especially water. Around 1973, I went with my friend Lynn Lowrey and a retired Texas Forest Service Ranger named Oza Hall to look at some Silky Camellias that Oza had discovered on timber company property while roaming back roads in Newton County. We traveled down a sandy logging road and across a sloping wooded field to find a small cluster growing near the afternoon shade of Swamp White Oaks, hickories, maples, and gum trees. The camellias were lovely and unassuming, their delicate flowers waiting like a gift to be opened at an unexpected moment. When I went back to visit next spring, Lynn had talked the timber company into setting a corral around the plants to protect them. A year or two later, the entire hillside had been clear-cut and the corral bulldozed. The soil had eroded and congealed into the spring creek below the camellias that had fed the roots of the protecting hardwoods. Across the rutted field, fast-growing pine seedlings were laid out in straight rows. Sumacs, Sassafras, and False Willow had also invaded the roughed up ground to take their turn in the sun. The camellias were gone. This story in many ways reflects much of what has happened in the native plant movement in the fifteen years since I wrote the first edition of this book. There is more appreciation of our native plants; there is wider agreement that certain rare and endangered species ought to be protected; and yet there is ongoing destruction of the natural places where these species are at home. In the first edition, I emphasized the positive contributions native plants make to the landscape. I believed that simply extolling the beauty and uniqueness of our native plants would be sufficient to persuade all but those most reluctant to leave their spans of emerald green lawns and join the trend toward naturalistic landscaping. But now I see the challenge as much more complex. By primarily promoting individual outstanding native species, we have not acknowledged the deeper patterns of the way Americans relate to their landscape, and this has caused the native plant movement to be misunderstood and in some cases ignored. Over the past ten years, a harsh series of droughts, water rationing, and unusual freezes have certainly emphasized the virtue of using native plants. Indigenous species have adapted over the millennia to the extreme demands of our climate and still beautifully thrive. Nonetheless, for many people, the appeal of using native plants is similar to the one attached to eating brussels sprouts: it's not your top food choice, but it's good for you and you ought to do it. The notion that native plants are somehow fundamentally shabby, ill behaved, or second-rate when compared to flashy plants with gaudy blooms found in magazines persists in the minds of many people. This perception may be partially based on our increased dissociation from the natural world. In his book Landscape and Memory, Simon Schama asserts that "one of our most powerful yearnings [is] the craving to find in nature a consolation for our own mortality". Yet it would seem that most of us are not in tune with our heart's desire; our disconnection from the natural world is unexamined and unmourned. Children no longer roam the remnant agricultural fields at the edges of their neighborhoods. They don't build forts made from discarded Christmas trees along creek sides and undeveloped lots. They seldom have time to daydream while watching ants or lizards. Their opportunity to explore, to stare at clouds, to waste time, is limited by safety concerns, the expectations of organized play, and the velocity of modern life. Separation from the natural world is not the issue; more and more children are never connected in the first place. Successive generations are growing up unfamiliar with the experience of simply being outside watching things grow and change. At the same time, our natural landscapes are more threatened than ever by fragmentation of habitat and increasingly intensive land use. Fifteen years ago few of us imagined how much the once remote edges of our cities would change as widespread prosperity drives a huge building boom. Too often, the look of the urban landscape is determined by developers (usually from out of town), who fundamentally shape the kind of living experience people will have when they go home from work every night. When the developers do not value the native landscape, except to determine if there is a view or water nearby that could be factored in as a selling feature, then we see the contractors scraping the lots with bulldozers before setting the foundation of a new home. Soil that was originally on site is hauled off, and inferior weed-infested subsoil is brought back to replace it. Each home is then assigned a formulaic combination of plants to "green up" the site before the sale sign goes up. Later when those plants struggle and die, replacing them is the problem of the purchaser. Since the indigenous mosaic of plants has been obliterated, what clues remain for the homeowner, perhaps also new to the area, to interpret what the natural association of plants should look like? The natural aspects of the original property have long been forgotten. How can he tell and why should he care that a Mexican Plum, in the long run, offers many advantages over a fast-growing Bradford Pear? In this age of the machine, we have become a nation of specialists. Construction technology is now so complex that each professional is forced to confine himself to his own area of expertise instead of assuming responsibility for planning in a more comprehensive way. Too often what happens outside the building is considered an "extra" to be resolved by someone else after the project is completed, which usually coincides with the exhaustion of the budget. At this point, a "landscaper" is employed to cover up the construction damage with inexpensive, fast-growing plants. How much better would our homes and building projects be if architects, engineers, landscape architects, designers, and contractors developed a team approach to site planning and management? Many buildings could be well on their way to having a mature landscape around them at the end of construction by first protecting the remnant vegetation instead of waiting until the end to plug smaller plants in the compacted earth. In our haste to build, we lose much of our understanding of the local plant communities as they become further fragmented and pushed to the edge, out of reach and out of sight. In the nursery industry, the national trend is toward consolidation: huge multistate conglomerate growers are geared toward the giant discount store market. These kinds of operations must have plants that they can sell in huge volumes over a wide geographical area. The "one size fits all" sales promotion of plants ignores the subtle suggestion that what might thrive in Houston may not work so well in El Paso. From advertising campaigns and glossy pictures of gardens from other areas, the consumer has come to expect that all plants should be compact, similar in form, and covered with eye-catching flowers all season long. Most native plants, especially western species, do not measure up to the rigid uniformity of the exotic landscape plants. Often their true beauty is revealed later, when they are established in the landscape, blooming and taking shape in a way that only gets better over time, while less adapted plants struggle and eventually die. But it is hard for the new gardener to know this if he has not seen those native plants in landscape situations. Even native plant advocates must shoulder responsibility for contributing to the public's reluctance to embrace indigenous plants as the foundation of a garden. A garden doesn't have to be a bleak "zero-scape" or scientifically accurate restored habitat to be acceptable. Gardens are for people, as the designer Thomas Church declared so well. We should never insist that only plants found in the immediate area since pre-Columbian times are appropriate. To do so is to ignore a fundamental truth of human nature. People have always gathered plants that they found beautiful or useful. Part of what it means to garden is to collect the plants and objects that have a personal appeal to you or that have an associated memory. This can be the reminder of one's homeland, a loved one (represented by a lily or rose dug from a grandmother's garden), or a souvenir from travel. To judge this very fundamental impulse of the gardener as wrong only encourages people to turn a deaf ear to the many positive reasons for emphasizing the use of native plants. Instead, I believe it is our responsibility to inspire the gardener to first love her land and those plants that give it a unique quality. 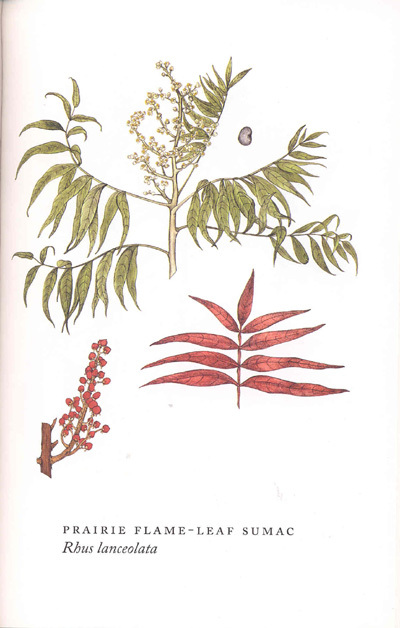 When people are encouraged to preserve and protect as many of the plants on their property as possible (not just the specimen shade trees), and these indigenous plants form the foundations of their gardens, the inclusion of certain adapted species can be achieved in delicate harmony. In naturalistic gardening style, plants are free to assume their true qualities instead of being sheared into contorted green balls. It is only when we try to reproduce the form and display of other regions that our attempts at gardening seem shabby, second-rate, and ultimately unsatisfying. At the same time, the less formal and more "natural" the garden, the stronger the basic design should be or the layout can quickly slip into chaos. With a controlled design that takes into account all the kinds of human activity which may occur in the garden, the gardener can learn to take pleasure in cyclical rhythms, including the buff and amber colors of seed heads, drying leaves, and the pause in the long growing season caused by drought's summer dormancy. If a garden is well designed and sensitively maintained, our cultural desire for perpetual greenness will gradually shift to an acceptance of the subtle variations in texture that predominate during the dry cycles as much as the exuberant colors of spring and fall. When people experience success in their gardening, that satisfaction will inevitably result in their deeper connection to the larger natural world and a greater desire to protect it. There are signs that more people are beginning to accept the privilege and challenges of land stewardship, whatever the size of their property. When I wrote the first edition of this book, there were few resources to guide people. Now the shelves bulge with field guides, books on butterfly gardening, gardening for wildlife, and naturalistic garden design. Groups such as the Native Plant Society, the Prairie Association, and the Master Gardener Program are establishing their informed constituencies that are then sent out to educate their communities. The TV and the Internet are likewise rich in information, but we still need more public environments where people can directly experience a naturalistic garden. We need more parks, arboretums, and botanical gardens for people to casually and spontaneously attend and learn more about these plants. All public buildings offer opportunities for smaller display gardens showcasing native plants. We should support city ordinances that favor the planting of native plants over exotics species. But these places must not be plant museums; we must never forget to provide a bench, a comfortable path, and some shade for people to pause in the midst of the garden to rest and observe. Where does the native plant movement go from here? The challenges are daunting, but despite a very mobile population, I believe native plants have established themselves as a resource to be valued. In a very basic sense, we have come full circle to the place Benny Simpson began thirty years ago. To explain what motivated his then very unfashionable interest in studying native plants, he declared, "It's getting to be important that we save as much water as we can and grow the kind of plants that can survive on very little water." Incorporating native plants in landscape design is a major part of an integrated management strategy to address our dwindling water supplies. For many parts of Texas, current projections predict that by 2030, our demand for water will exceed our supplies. This will affect not only the homeowner but also the nursery operator, because agriculture and agriculture-related industries will be allocated less water when surface and ground water supplies become strained as our population increases. The native plant movement will be a success when a garden that does not use native plants to form the framework looks odd and out of place to us, when the pressure on our water resources eliminates poorly adapted species from consideration, and when we have articulated to ourselves and our children that the earth needs us and we need the earth.